Our health should be our priority, being fit and in shape should be the first thing to be taken care of. There are ‘n’ number of ways in which you can do that, like sweating it out, following diet plans or even eating it all out. It is important to understand that eating healthy is as essential to stay fit as much as breathing for your life. It doesn’t always have to be tasteless or boiled food to be put in the ‘healthy food’ category but you can also turn those leafy vegetables or juicy fruits into something delicious and healthy at the same time. 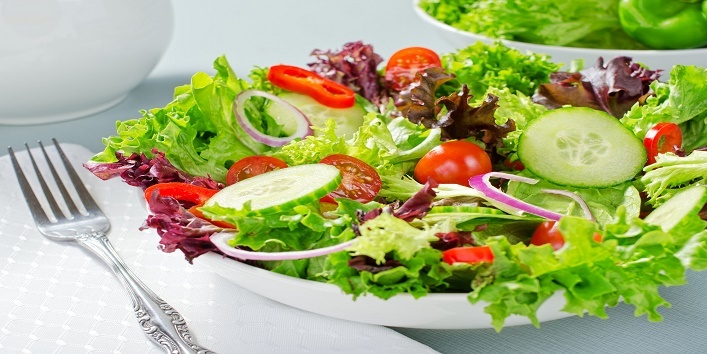 These quick and laidback homemade salad recipes are the best thing that can happen to you on the name of balanced nutritious diet while you praise the flavors of your taste buds. 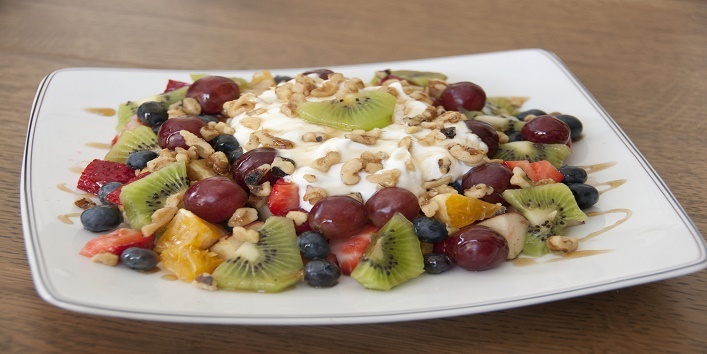 Fruit salad is an easy to make a recipe for a healthier you, which is high in fiber, protein, vitamins and not to forget the water content. Put all the above-mentioned ingredients in a large bowl and mix well. Now add nuts of your choice like walnuts, almonds or pistachios to put in some more wholesomeness. Refrigerate for an hour or so, to enhance the taste of fruits. Chickpeas are known to be a good source of protein folate, manganese and dietary fiber. A perfect lunch substitute for a nutrition rich diet. 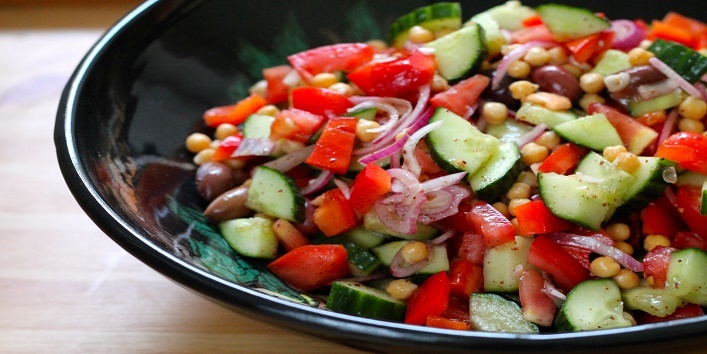 Mix boiled chickpeas in a bowl along with all the vegetables. Then add lemon juice and chutney to it and mix well. Now sprinkle black pepper powder and cumin powder as per your taste and mix well again. Garnish with some fresh coriander leaves if you want to but do not add salt. Green leafy veggies are low in calories, and are rich in certain phytochemicals, which also help your body to fight with certain types of cancers. Put balsamic vinegar in a pan and bring it to a boiling temperature. Then turn off the heat and add honey to it. Stir well and set aside to cool. 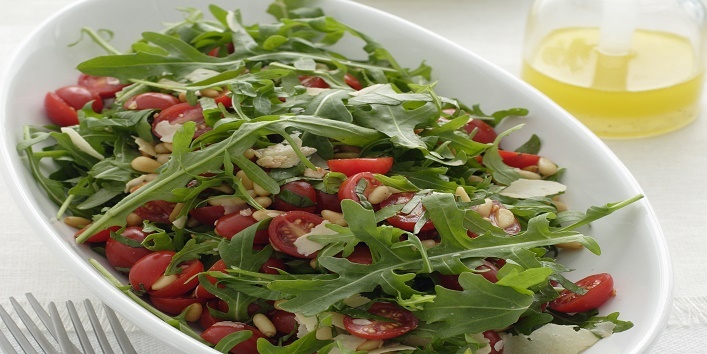 Now, in a separate salad plate, spread the rocket leaves making a bed of them and add the vegetables over them. Dusting with salt and pepper, drizzle the vinegar and honey dressing on it. Garnish with some feta cheese if you want to add a little texture to the salad and to give your taste buds a treat. 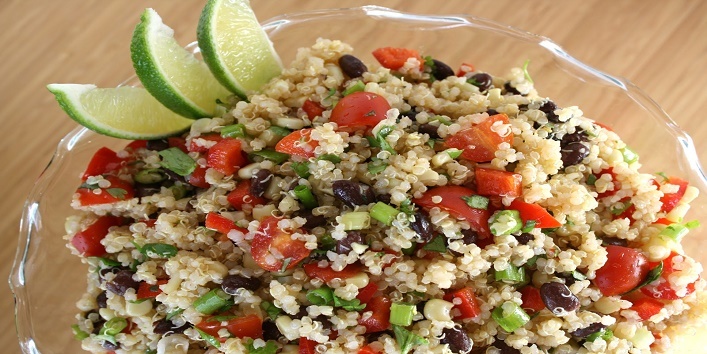 Quinoa is grain and not a cereal which is rich in protein and low in calories. 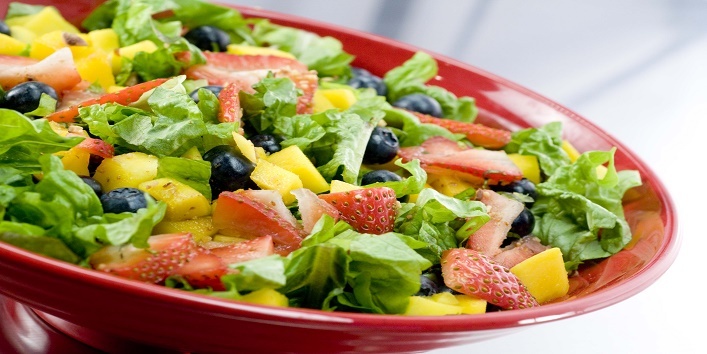 The high quantity of flavonoids makes them perfect to switch with any meal of your day. Take a bowl and put 2 teaspoons of olive oil, pepper and salt along with the vegetables and mix well. Now put them in a grill pan to grill for 5-10 minutes. Next, while the other vegetable grill, take a separate bowl and put the garlic paste, remaining olive oil, pepper, lemon juice and salt, and mix well. Now mix the quinoa with the grilled vegetables and salad dressing. Garnish with parsley leaves. 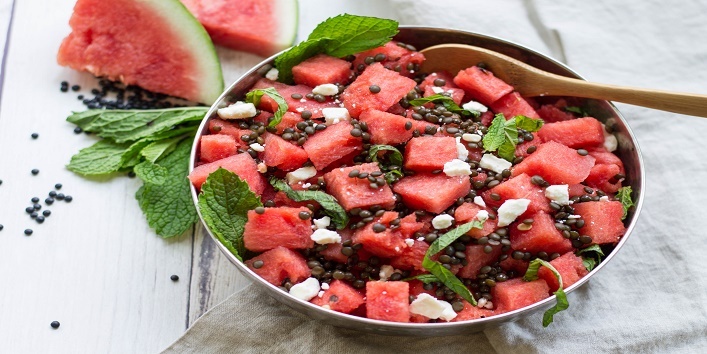 Watermelon is 90% water and packed with nutrition that aids in weight loss. It keeps your bowel movements great and helps your stay fuller for a longer time. First, soak the sliced onions into the lime juice and set them aside. Next, cut feta cheese into small portions and put them in large bowl along with watermelon, mint leaves, parsley, olives and onions. Pour the juice of the juice as well. Add the olive oil and black pepper to the salad and garnish with more feta if required. Share your secret diet recipes with us to aid weight loss in the comment box below!